How the Gold Rush, Prohibition, and a 1990s news report helped define American wine consumption. For decades, wine was a beverage enjoyed by few Americans — most of them either very rich or new to this country. Yet today, the United States is the largest wine consumer, and fourth largest wine producer in the world. We spoke to Jim Lapsley, a wine historian at the University of California's Agricultural Issues Center at Davis, about early winemaking fails, Prohibition loopholes, and why American consumption of red wine doubled in the 1990s. Let’s talk about early attempts at American winemaking. Were they successful? The early attempts were not successful. The grape that human beings have used for millennia to make wine is the species Vitis vinifera, which evolved in Europe and the Caucasus area of Asia. When Europeans came to North America, they found all sorts of grapes — but they weren’t vinifera. They were other species that hadn’t been selected by humans over millennia to make wine. The native species tended to have very small berries, very high acid, and very odd flavors. Colonists attempted to make wine from these native varieties, but could not produce wine that was similar to the European wine that was being imported. There were attempts to grow Vitis vinifera in North America, but these failed as well. Vitis vinifera is generally adapted to a Mediterranean dry summer, wet winter environment, and that wasn't common in North America — especially along the eastern seaboard, where the first European settlers arrived. There you had cold winters and humid summers, which encouraged fungal diseases. North America also had an insect called phylloxera. Because vinifera had evolved separately from phylloxera, it had no resistance at all, and vinifera plantings died within three or four years. How did American winemakers tackle those obstacles? The introduction of vinifera, although unsuccessful, did introduce vinifera pollen, which created chance hybrids with the native varieties. These hybrids tasted better — or at least, more like vinifera. American winemakers discovered hybrids like the Alexander, Catawba, and the Isabella varieties, and used them to produce wine. By 1850, wine was being made in pretty much every state, but it was produced in very small quantities. It wasn’t a very popular beverage relative to whiskey, beer, and, in the north, hard cider, because those other beverages could be produced much less expensively. When Americans did drink wine, it was almost always imported. In 1840, according to the census, just under 3 percent of all wine that was consumed in the United States was produced in the United States. When do we actually see a commercial industry emerge? In the 1840s and 1850s, there was a small boom when an industry producing sparkling Catawba wine emerged around Cincinnati, but it was wiped out by fungal diseases around the time of the Civil War. The real turning point was the Gold Rush around 1849, which led to a huge influx of people from all over the world into California. The vast majority of them were males, and they liked to drink. They were drinking beer and spirits, but they also enjoyed wine. California settlers quickly realized that Northern California is an excellent place to grow Vitis vinifera wine grapes. It basically has a Mediterranean climate, so the disease problems found on the east coast were much less severe. Various individuals started wineries in the 1850s, the ‘60s, and the ‘70s — and they start producing wine made from vinifera, as opposed to the “native” hybrids that were being produced back on the East Coast. The resulting product tasted more like the imported European wines. Were people outside of California drinking it? Not at first. In the 1850s and ‘60s, most of the wine produced in California was being consumed on the West Coast; only a little bit was being shipped back east. 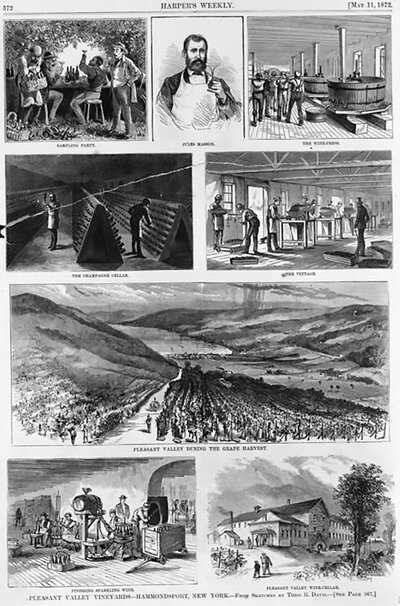 But in 1875, the California congressional delegation was successful in getting the federal tax on imported wine raised, enough that the tax on imported wine was roughly the same price as California wine delivered to New York. So New York importers began carrying California wine, as well as importing more expensive European wine to justify the increased tax. From that point on, California wine dominated the inexpensive table wine market in the United States. Just before Prohibition, in the 1910s, roughly 90 percent of all the wine consumed in the United States came from California. That was a huge change from pre-Civil War America, and a lot of it had to do with immigration. At the beginning of the 20th century, millions of immigrants came from the southern Mediterranean — Italians, Yugoslavs, French, and Spanish. These were wine drinking cultures and they wanted inexpensive wine for daily consumption. Prohibition was passed in 1919. How did it change the winemaking industry and wine-drinking culture? 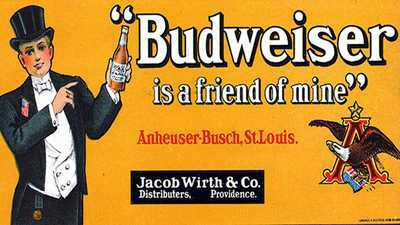 Prohibition stopped the commercial production and sale of beverage alcohol of any type. But it was still legal to consume alcohol. Under the Volstead Act, it was also still legal to produce fruit juices for home use — and to ferment those juices for personal use. 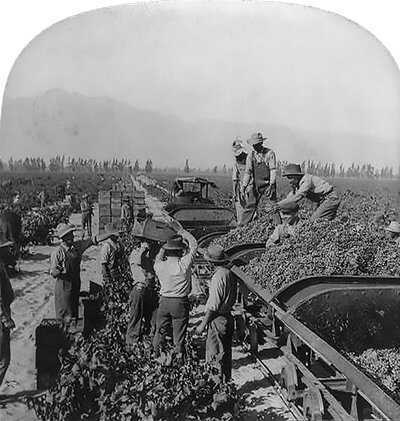 In 1919, when the Prohibition was passed, most California grape growers thought they would need to plant other crops. But they were pleasantly surprised when immigrants from the East Coast — predominately Italians from Chicago and New York — came knocking on their doors wanting to buy the wine grapes and ship them back east in railcars. There, jobbers bought the grapes by the carload and transported them to immigrant neighborhoods, where residents purchased enough grapes to make two or three barrels of wine in their homes for the year. And it was all legal! So at the beginning of Prohibition, there was a lot of money to be made in supplying grapes to the immigrant home winemakers in the urban east. Grape prices tripled for a few years, which caused a planting boom. California vineyard acreage doubled in eight years. The new vineyards were planted to grapes with thick skins, so that they could be shipped east in railcars for five days without turning into mush. The vineyard owners also planted grape varieties with a lot of color, like Alicante or Grand noir, and a lot of tannin, like Petite Sirah. These varieties didn't make particularly great wine, but they did allow the home producer to dilute the product with water and sugar and still make a drinkable wine. So where does that leave the American wine industry by the end of Prohibition in 1933? The vineyard industry had expanded so much that by the time Prohibition was repealed, prices had dropped due to high production. And California vineyards didn’t have much acreage of varieties needed to produce higher quality wine. The actual wine industry — wineries that transform grapes into a liquid fermented beverage — had been out of business for 12 or 13 years. California had lost both an intellectual understanding of wine production and practical, hands-on experience. But people did know how to ship grapes, and had an immigrant market that had been making wine at home for a dozen or so years. So about a third of the grapes grown in California continued to be shipped out of state. As an aside, I had always wondered how people didn’t get bored drinking their own wines the whole year. Once, after a lecture I gave about this topic, an Italian-American guy from Chicago told me how his family did it when he was growing up in the 1950s. His father and uncles would make wine in the fall, get the fermentation finished, and then put some of the wine into gallon bottles. On New Year’s Day they’d drive out to Lake Shore Drive, where they would find other “paisanos” parked with their trunks open, full of their own homemade wine — and they would trade! That way, they got to taste some different wines during the year. I don’t know if the story is true, but it makes sense to me. The only wine people could not easily make at home were fortified wines, like port or sherry, because that involves distilling, which had been illegal during Prohibition. The result was that from the repeal of Prohibition until the 1960s, roughly two thirds of California's production was fortified wine. When and why does that change? The change really occurs in the 1960s, when Americans start getting interested in wine. 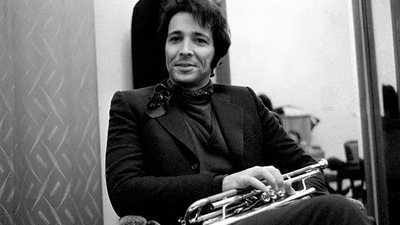 Some commentators say it was because of the jet plane — people were able to travel to Europe and see what European life was like, and they came back wanting some of it. Others say it started earlier, with returning soldiers who had tasted wine in Europe during World War II. But I think that much of the increased demand for wine in the 1960s had to do with the baby boomers coming of age and wanting a different product to drink. And by the 1960s, wine itself had dramatically changed. 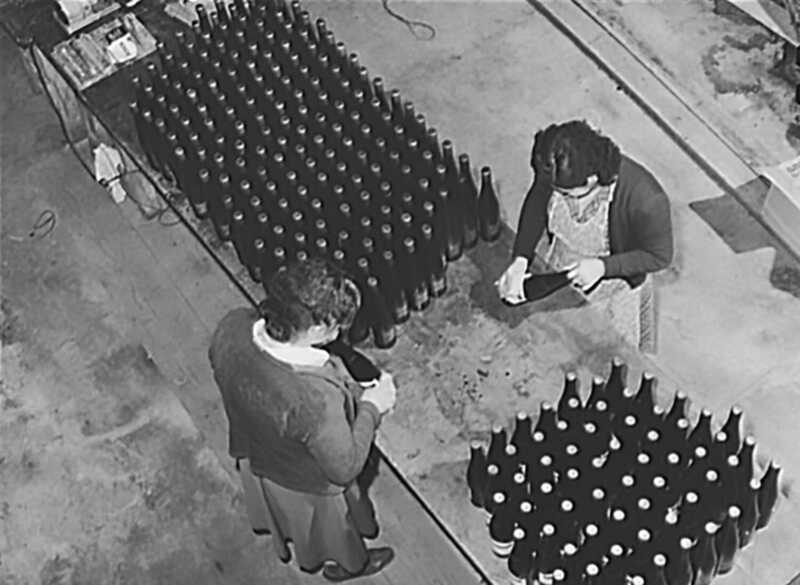 During the 1950s and 1960s, the California wine industry adopted a bundle of technological changes that the University of California, Davis helped develop. Cold fermentation and the use of stainless steel and pure yeast cultures produced wines that tasted and smelled like the grape. That technology revolutionized white wine in particular. White wine in the 1940s was, for the most part, tired and oxidized, made from grape varieties that didn't have a lot of flavor. 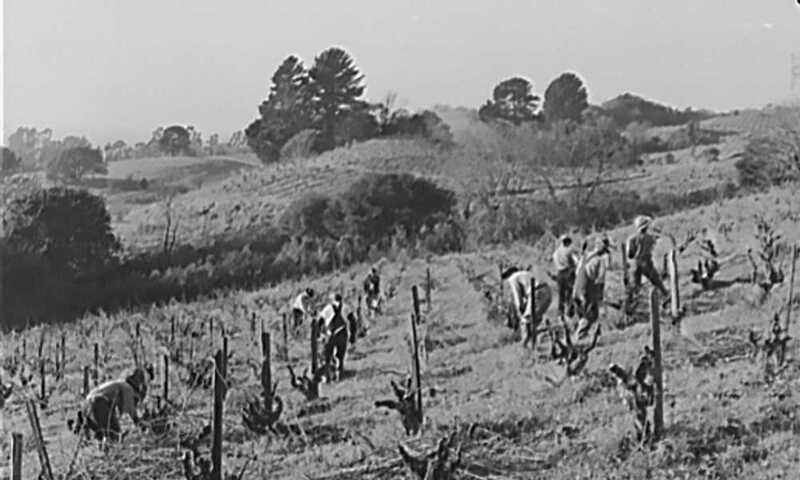 By the 1960s, California wineries started using varieties like Sauvignon Blanc and Chenin Blanc, and a bit later, Chardonnay. The result was wines with varietal characteristics that could be made slightly sweet. For a generation like the baby boomers, having grown up on soft drinks, the new white wines were a natural bridge to alcoholic beverages. So when the wine boom began in the late ‘60s and early ‘70s, it tended to be more in white wine than in red. Chardonnay and White Zinfandel became incredibly popular. New areas of California were planted to varietal grapes. Monterey is a good example — it’s a coastal area, where inexpensive land that had been used for cattle could be irrigated and used to grow grapes. Similar expansion took place in other areas of Northern California. In 1976, California winemakers pulled off an upset when they beat French winemakers in a blind tasting known as the “Judgment of Paris.” What effect did that have on the American wine industry? From a marketing perspective, it was a huge validation of the quality of the top California wines. The French wines were recognized to be the highest quality in the world. The tasting showed that our wines, as judged by French experts, were just as good. And they were cheaper! So the 1976 tasting legitimized what the new wineries had started a decade earlier — in some cases even less than a decade. It became a very interesting story. Was there a turning point after that? Did we see increased wine sales? Actually, in the 1980s, we experienced a decline in per capita consumption of wine in the U.S. Reagan became president, and society started hearing “just say no” to drugs and alcohol. The older baby boomers were married with children. And there are some interesting studies that show that when you have little kids at home, you don’t drink as much alcohol. So the 1980s were a quiet period for the California wine industry. That changed in 1991 when Morley Safer went on 60 Minutes and talked about the “French paradox.” He told America that the leading causes of death in the U.S. for white males were heart attacks and strokes. Safer pointed out that the French ate as much fat as Americans, but that they had a lower rate of cardiovascular problems. And he explained that epidemiologists thought it might be due to the fact that the French drank much more red wine than Americans did. It’s hard to prove that the 60 Minutes segment was directly responsible for the increase in red wine consumption during the 1990s, but it is a fact that American per capita consumption of red wine doubled in that decade. What is the state of the American wine industry today? Today, the U.S. is the fourth largest wine producer in the world, behind the “Big Three” of Italy, France, and Spain. Although wine is produced in every state in the country, California wine still dominates; in 2016, about 85 percent of all American wine came from the Golden State. We export about 20 percent of our production and consume the rest in the U.S. As a country, we’re the largest consumer of wine both by volume and by value, having passed France in total volume consumption a few years ago. Wine has often been perceived as a “foreign” beverage — and prior to 1850 and California joining the Union, it was true that the vast majority of wine was imported. Today, when your neighbors down the road have planted a vineyard and are producing wine from local grapes, it doesn’t seem quite so foreign. Some songs perfectly capture their moment. We’re not here to talk about one of those songs. 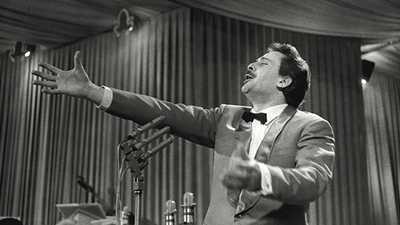 A song inspired by a Marc Chagall painting and sung by an Italian actor ruled the American airwaves the summer of ‘58. From 19th century immigration to Prohibition to today's explosion of microbreweries, the beer industry in America has evolved over time.